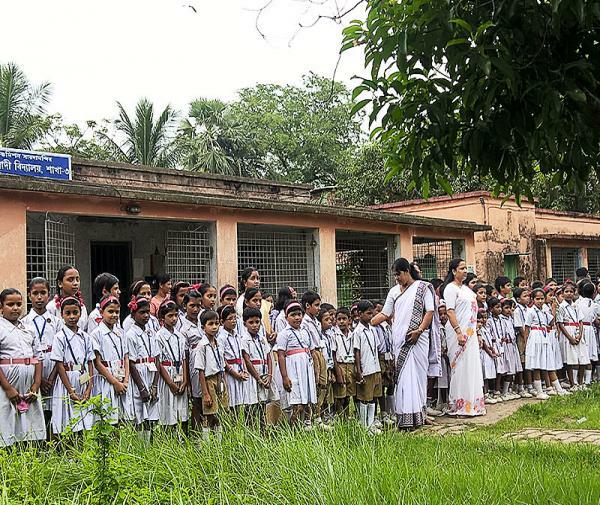 Combating Anaemia:– Ashrama implemented a project for combating anaemia from children, adolescent girls, pregnant women, lactating women and productive women around Diamond Harbour Block-II, West Bengal. Where emphasis is given for in awareness and preventive measure against social stigma faulty hygiene practices lacking of nutritive supplement in normal food habit etc., Blood test was done for all targeted women for grading the percentage of Hemoglobin. Anaemia effected women and girls are closely monitored by the reputed Doctors and free medication followed to improve the Hemoglobin and other Status. Awareness, training, health check-up camps are done with sincere effort to eradicate anaemia from poor and backward women and girls. Charitable Homoeopathy Dispensary:– Our Ashrama has a charitable homoeopathy dispensary since its inception in 1921. It was reshaped in 1987 and provided with a permanent qualified Homeopathy Physician. Local people are regularly treated with care. 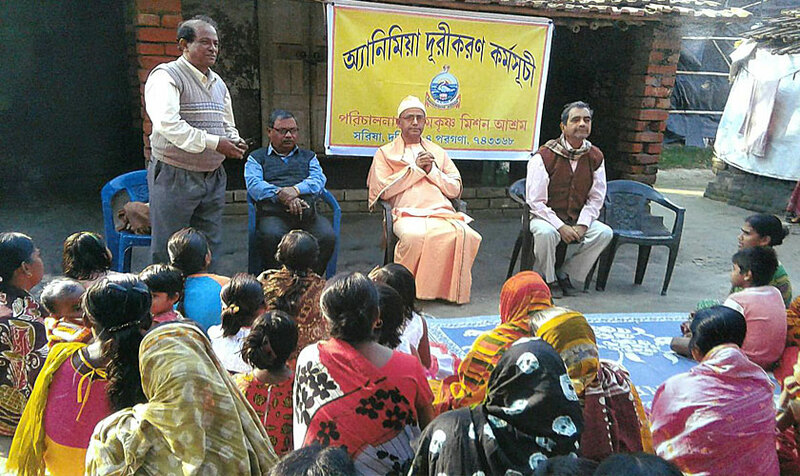 Allopathic Clinic:– Ashrama running an allopathic medical unit in collaboration with Ramakrishna Mission Seva Pratisthan, Kolkata, twice in a week. The services offered are free medicine and treatment by the specialist doctors to the poor people. The average no. of patients attended daily is nearly 150. Nurses Orientation and Field Work:– Besides the said clinic GNM and BSc. Trainee Nurses from Ramakrishna Mission Seva Pratisthan, Kolkata also come to Sarisha for one month for the rural exposure courses every year.